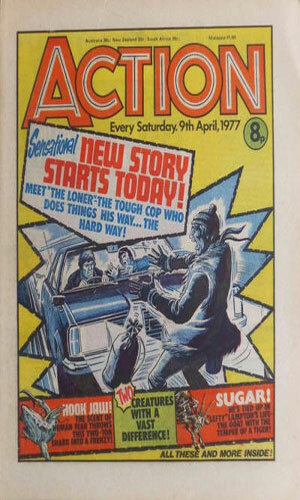 From Action No. 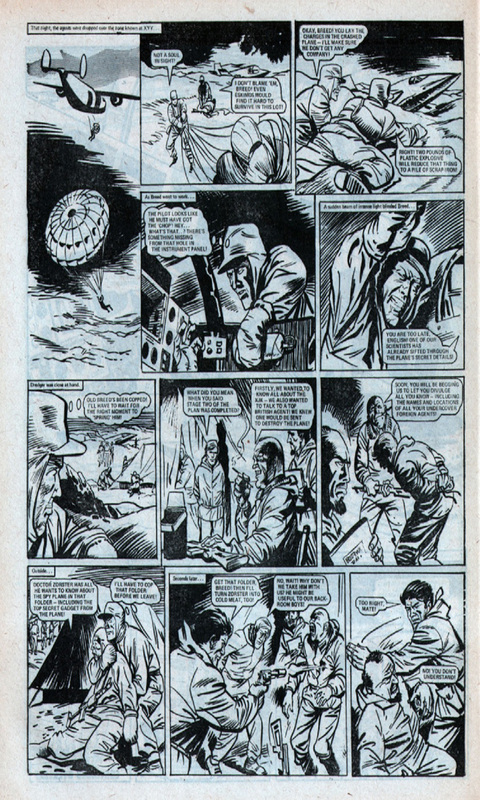 56 with 3 black & white pages (a bit blue & gray with age). 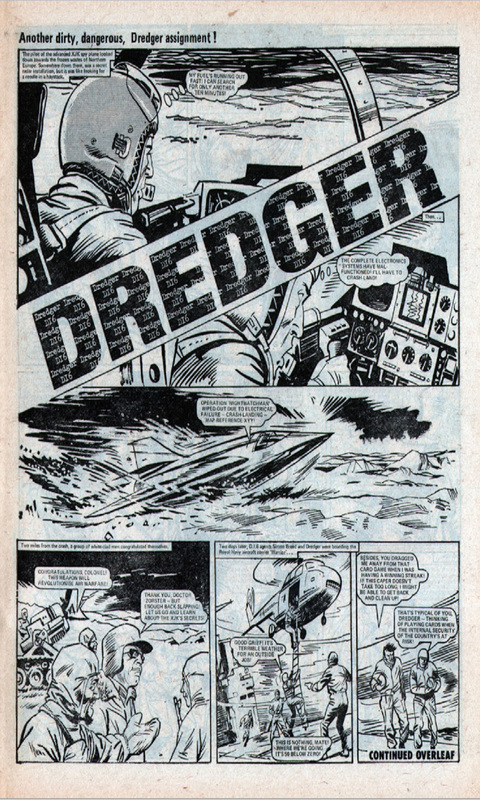 Another dirty, dangerous, Dredger assignment! Operation Nightwatchman fails after the XJK spy plane goes down. 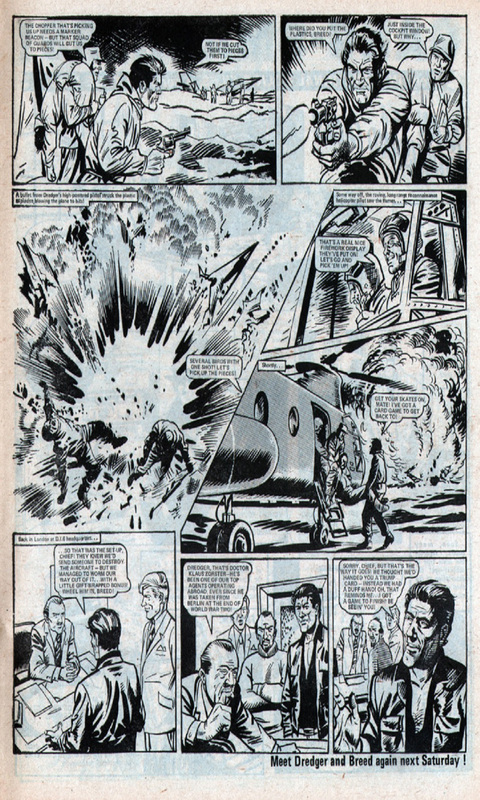 Dredger and Breed are sent to a frozen part of Northern Europe to destroy the plane. Can they finish their mission without anyone getting in their way? Most likely not, but death is always in the cards for someone when Dredger is around.